In 1931 Ferdinand Porsche set up his own "engineering office". By the time he died in 1951, the brilliant technician – previously the designer of electric-driven carriages and racing cars and the Daimler-Benz chief designer – had created the foundation of what was to become a global enterprise. 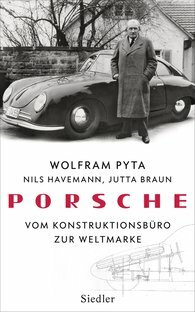 Wolfram Pyta tells the story of the company during these early years of turmoil: from the development of the Volkswagen beetle, through arrangements made with the Nazis and war-time production to its rise to become the manufacturer of exclusive sports cars. A fascinating portrait linking company, car and contemporary history.